The Carrboro Board of Alderman approved several affordable housing requests on Tuesday night, most notably, a request of $40,000 for the Self Help landbank and $15,000 for a critical-repair program for seniors. The request from the non-profit organization would help long term residents in the Northside neighborhood with home ownership. Dan Levine from the Self Help Credit Union said the landbank would buy up houses to then resell to residents. Currently, most homes that go on sale in the Northside neighborhood are sold to rental companies. “If you look at the transactions in the neighborhood, almost every property is being sold to student rental investors,” said Levine. The landbank, administered by the Self Help Credit Union, would purchase homes and prioritize reselling or renting them to residents who make 80% of the area median income, which ranges from $37,750 for an individual to $53,900 for a family of four, according to Community Home Trust. Alderman Jacquelyn Gist was concerned that young professionals might utilize the program, only adding to the gentrification issue that the landbank is attempting to prevent. “I know that other programs like this have been used by young professionals to buy their first home, instead of mom and dad helping. They meet all the qualifications,” said Gist. She said many young professionals would qualify as having the appropriate income but with future prospects of higher income, they would not be the population the program is hoping to help. Levine said with current housing prices, programs like the landbank are the only way low-income residents can continue to live in the community. “All I’d say for the board to consider is the reality of the housing market in Carrboro is that single family detached homes, which is mostly what Northside is, they are not affordable without huge amounts of subsidies,” said Levine. Last year, UNC gave a $3 million interest-free loan to the Self Help landbank to support the purchasing of homes on the Chapel Hill side of the Northside neighborhood. The neighborhood spans Chapel Hill and Carrboro. 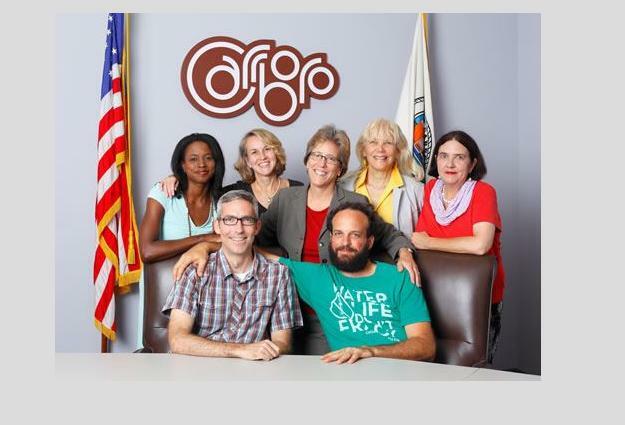 Alderman Bethany Chaney said they hoped to attract some of those funds to the Carrboro section of the neighborhood, but first they would have to show support for the program. “The only way we are going to preserve properties in Northside is by participating in this initiative and I think this is why we need to go ahead and say we are willing to put $40,000 down to get a couple of properties into that bank,” said Chaney. Habitat for Humanity has also been working to build and maintain affordable housing in the Northside neighborhood for several years. The Board of Alderman also approved a request from the non-profit Rebuilding Together of the Triangle to complete $2,500 worth of home renovations for a long time elderly Carrboro resident.